March 2015 – Got Hair Issues? I've Got Solutions. 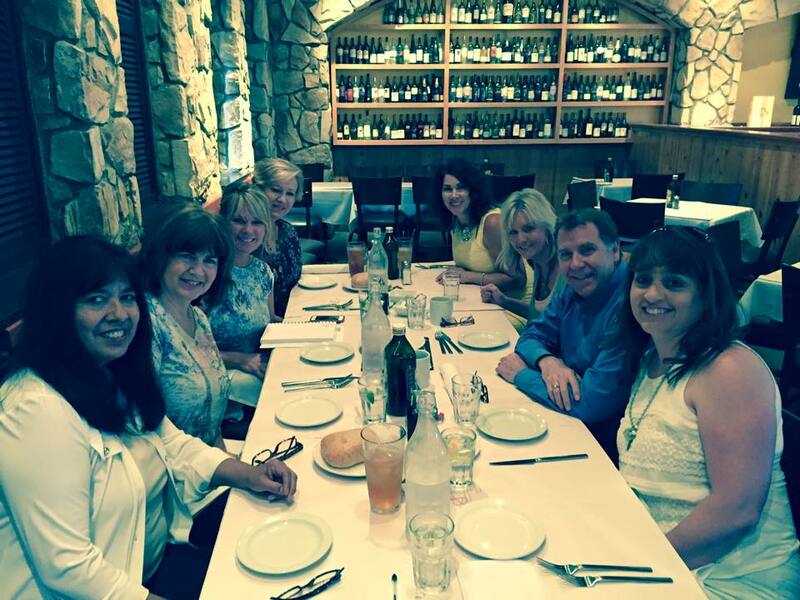 As if the excitement of our event last Wednesday wasn’t enough to make me want to SING OUT LOUD (I promise I won’t make a video of that and put you through it because it’s NOT pretty – LOL), I was in a select group of California leaders to get to have lunch with a couple VIPs the next day! That really made me feel special and it showed me that our leaders do care about our success! Stuart MacMillan, President of Monat (who flew out from Miami) and Angela Orrico, Regional Manager of Monat (who flew out from Chicago) share some plans for our company and where we are going in the very near future! March is going to close out at over $1 million in sales and it’s only our 6th month in business. Obviously, people are loving our products and enjoying our unique business opportunity as well. It just validated for me that I’ve made the right decision by joining Monat. Can you say AWWWWWW-MMMAZING? Our MONAT business opportunity event on Tuesday nght that I did my first video post about a few days ago, was A HIT! To say it was SO MUCH FUN is an understatement. 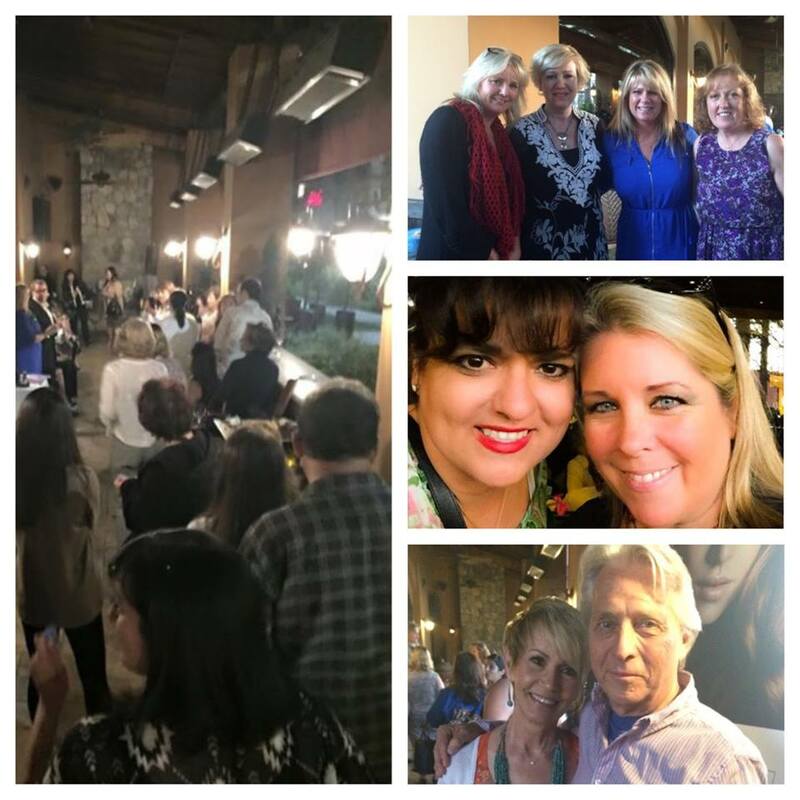 It was at The Winery in Tustin, California and Holy Moly so many great people were there. We had a blast meeting everybody! There were people who drove several hours to be there. 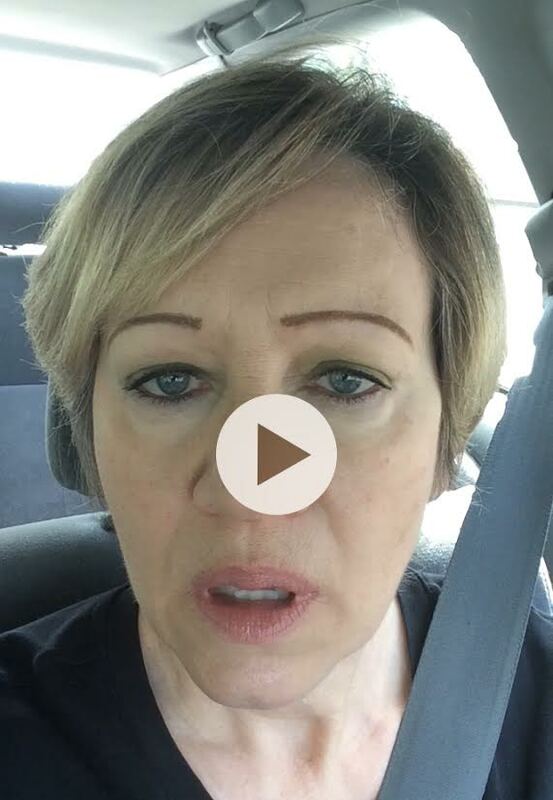 That’s the kind of excitement that MONAT is drawing here in California right now! Needless to say I’m even more thrilled about Monat after meeting Stuart MacMillan, MONAT’s President! What a genuinely nice, caring, down-to-earth person he is. He’s been with two other hugely successful Network Marketing Companies and helped them become billion dollar companies so I know we are in good hands. Our company is going places and we are going with them! Sometimes you’re just presented with one of those “right place at the right time” opportunities and I’m glad this is one that I decided to get involved in. When I was researching and testing out our products for myself, there were several things that stood out to me. 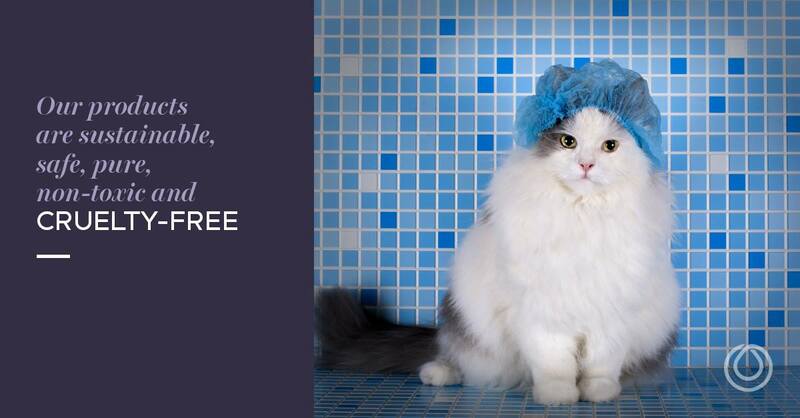 One of the most important features was that our products are NOT TESTED ON ANIMALS! Being the animal lover that I am, this cruelty-free aspect spoke to my heart. Secondly, I also like the fact that our entire product line (shampoos, conditioners, and Rejuveniqe Oil) are manufactured in the U.S.A. I like to support businesses that keep much-needed jobs here at home. Our economy needs those jobs. Some other great factors are that MONAT products DO NOT contain sulfates, parabens, Phthlates, PEG, DEA/MEA, as well as no harmful colors or fragrances. Everything is plant-based and contains active botanical ingredients. It really is food for your hair and scalp that’s full of nutrients, minerals and amino acids! This explains why people are getting such amazing short-term results as well as progressive results the longer they use MONAT! Click Here to see some great before and after photos and testimonials. If you’d like to give MONAT a try, CONTACT ME. I cannot tell you how it feels to be marketing a safe, natural, product that is giving people life-changing results! It does my heart good to know I have something that really can help! For the next TWO DAYS ONLY, MONAT is offering extra products for people who join MONAT through March 22, 2015! 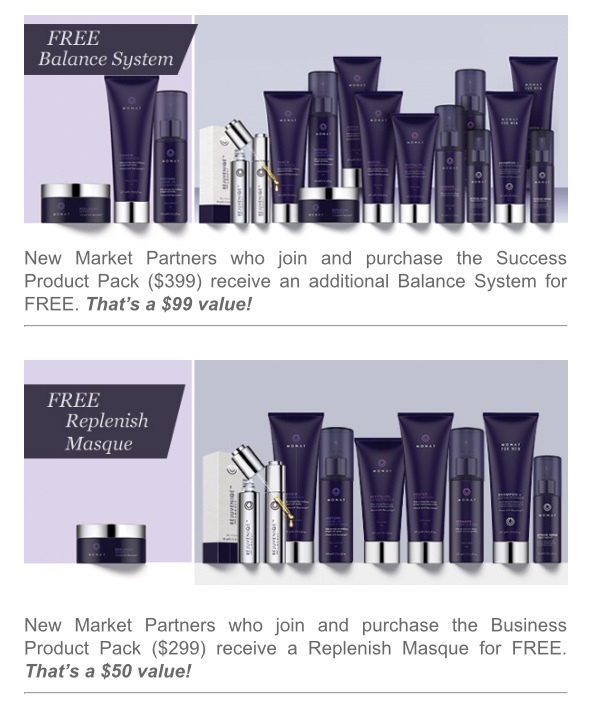 With the larger product pack, an extra Balance Line will be offered ($99 value) and with the smaller product pack, a Replenish Masque will be added ($50 value). If you’ve been looking for the right business opportunity for you and your family, but haven’t found it yet, maybe MONAT is your answer! OR maybe you haven’t thought about having your own business but you’re open to finding out how MONAT can help you have the extra cash flow you need! Contact me ASAP since time is limited to take advantage of this special offer! I’d love to answer your questions and see if this is a fit for you. There are so many great uses for our Rejuveniqe Oil! It’s not just for our hair. It also makes a great primer for our lip liner and lipstick! Because of its unique molecular structure that helps to extend the life of the color in our hair, it also works to define and extend our lipstick application during the day. 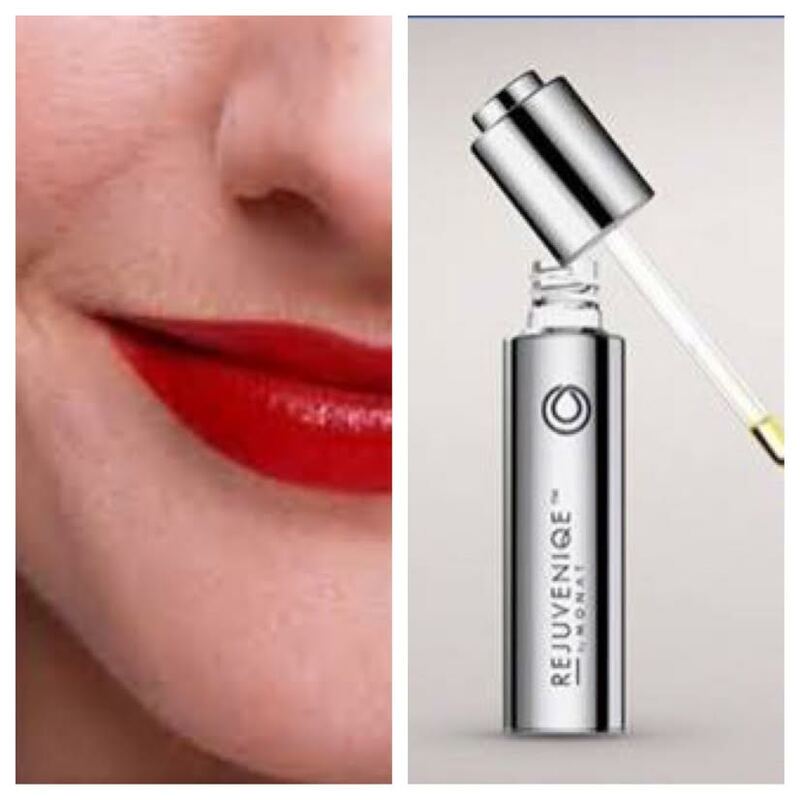 Just place a small amount of Rejuveniqe Oil on your lips. Rub it in and let it set for about 5 minutes. Next, apply lip liner to the outer edges of your lips, then fill in the entire lip area. Finish with your favorite lipstick and you are set to have all day color and long-lasting staying power. Your lips will remain hydrated and moist and your color will not wear off as quickly. Try it and LOVE the results! Hi and Happy Weekend! I hope you’re having a fabulous one. I am so excited about finishing my first business video and I want to share it with you all. 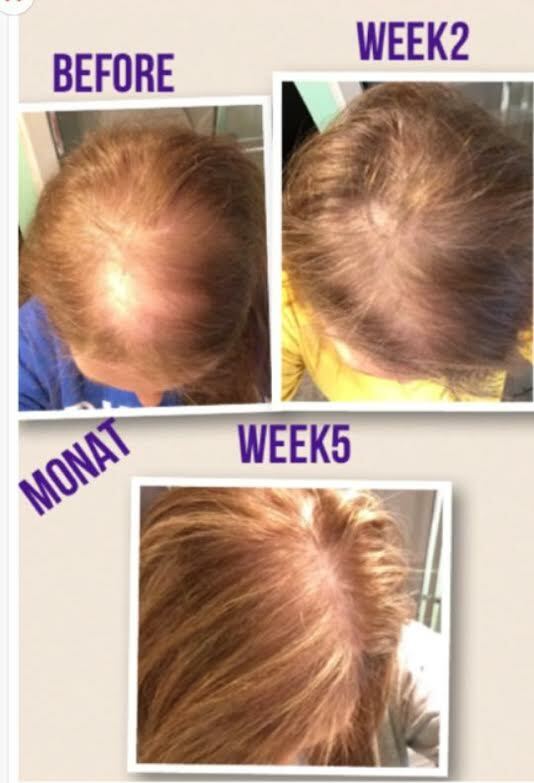 I explain a little bit about why I joined MONAT and how it’s going so far! CLICK HERE to watch the video. At the end of my short video production is a special invitation to attend a business opportunity event on March 25th, 2015 at 7:00 p.m. if you live in or around Orange County, California. Oh my gosh! We have a very special VIP coming out from Miami to be at our event and talk to us! The President of MONAT, Stuart McMillan, who came out of retirement to help grow this ground-floor company, is coming to California to spend the evening sharing his vision with us about this amazing product line and company. That is a very big deal! Mr. McMillan is one of the people responsible for growing Arbonne, another network marketing company that is HUGELY successful today. He knows what he is doing that’s for sure. So this is going to be a REAL TREAT! If you do live in the area and would like to attend, please RSVP by CLICKING HERE. If you’re bringing guests, please RSVP for them as well. Oh and thank you for watching my video. I was a little nervous but had fun doing it too! GREAT TIP! Be Careful When Towel-Drying Your Hair. Because your hair is much more fragile when it’s wet, roughly towel drying can cause it damage. The rubbing motion with a towel can rough up the cuticle (outer layer of the hair), causing breakage and can lead to frizzy or fluffy hair. Instead of rubbing with your towel after washing your hair, try gently blotting it with a towel to remove excess moisture. You also might want to invest in a super absorbent towel that you can wrap around your hair after washing.